In an almost repeat of last year, I ran as a pacesetter in the Proniño race before jumping on a plane to America, only this time I left a few days in between, rather than a few hours. I was again holding the sub 40' balloon (the first of which, as last year, came un-tethered and floated skyward!). This year, however, I didn't manage to nail the pace quite as well. In fact, if I had been following me trying to break 40 minutes for the first time, I would have been quite upset with me. My fellow pace setter decided against my advice to follow his Garmin watch which, as is customary, cheerfully beeped about 10 seconds before we reached the kilometer markers. On the other hand, I remembered from last year that the markers weren't reliably placed either, so I thought I would go by feel. By halfway I was bang on time, while Antonio was a few seconds ahead of me (in spite of Garmin's optimism). I tend to struggle more going up hills than most but I also tend to fly down them a lot faster. This meant that those following me were tricked into a sluggish pace going up a hill just after the halfway mark, only to be dropped as I went careering off. I found myself running completely alone for the last few kilometers which, for a pacesetter, I think can be classified as a fail. As I caught up with Antonio just after the 9 kilometer mark, he reckoned we were ahead of pace, but I remembered that the 9 kilometer marker was badly placed from last year so I said that I thought we needed to make up time. We soon realized that we were running behind time and so we started to sprint for the line alongside the first female finisher. So as not to spoil her victory, we dropped back and to the side before she broke the tape. In the end we were about 20 seconds slow but there was no-one around to complain and those who had a chance of breaking 40 minutes had done so by staying ahead of us so they didn't care. 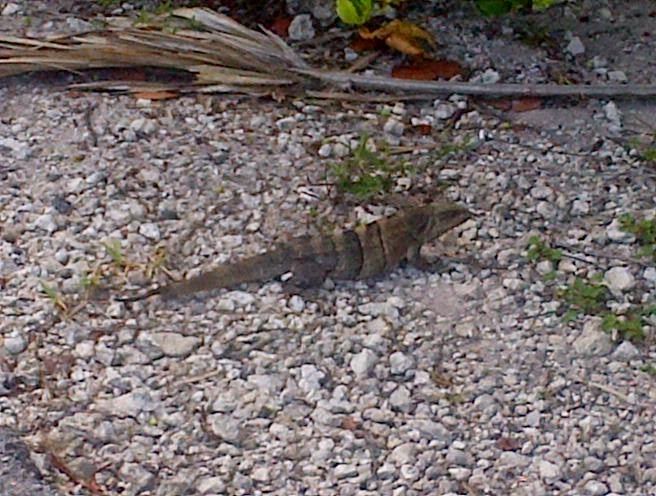 This year, my conference was in Miami and my flight left on Tuesday afternoon. To be honest I really didn't feel like going because my youngest son was actually in hospital with a tummy ache that has refused to go away. I hope its nothing serious, but he has been in and out of hospital for the last two weeks and they still haven't come up with an explanation. I'm guessing that its related to the food intolerance he suffered from a few years ago when we put him on a 5 food exclusion diet and then gradually reintroduced gluten, soy, egg, milk and fish, one by one. At around the 4 minute mark, you see me overtake a girl: after half an hour, I stopped for a rest and she caught me up and turned back at the same point as I did. With the humidity and a quick stop to pee, sip some water and dunk my head in a cold shower, we kept on overtaking each other to the point I was worried she would think I was stalking her. I'm going to have to get used to this weather when we go to Malaysia for our summer holidays. Just as I rarely need to drink any more, I'm convinced there is a large psychological component to my lacklustre performances in hot and humid conditions. 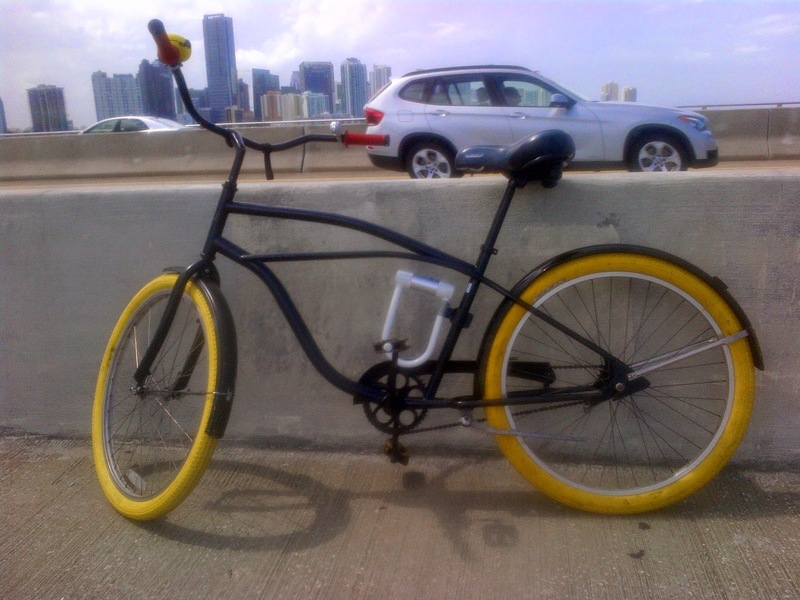 Along the route you can see some impressive cars and equally impressive triathlon bikes: not only does Miami host a 70.3 Ironman event, but people have plenty of cash to splash out. I was surprised that for a relatively pedestrian unfriendly city (without a car, you are nobody) bikes were quite welcome. I was recommended a bike (I should say bicycle) hire shop near the hotel where, looking through the window, I could see I would be able to hire a road bike. Unfortunately, in the same window was a sign saying that it was "currently closed under new ownership". 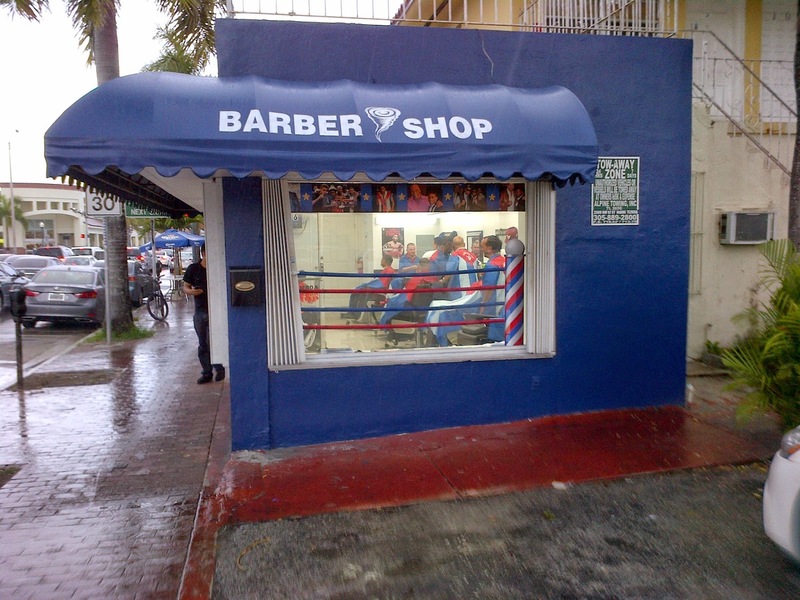 So I walked / ran to Little Havana hoping to see something with a bit of character. 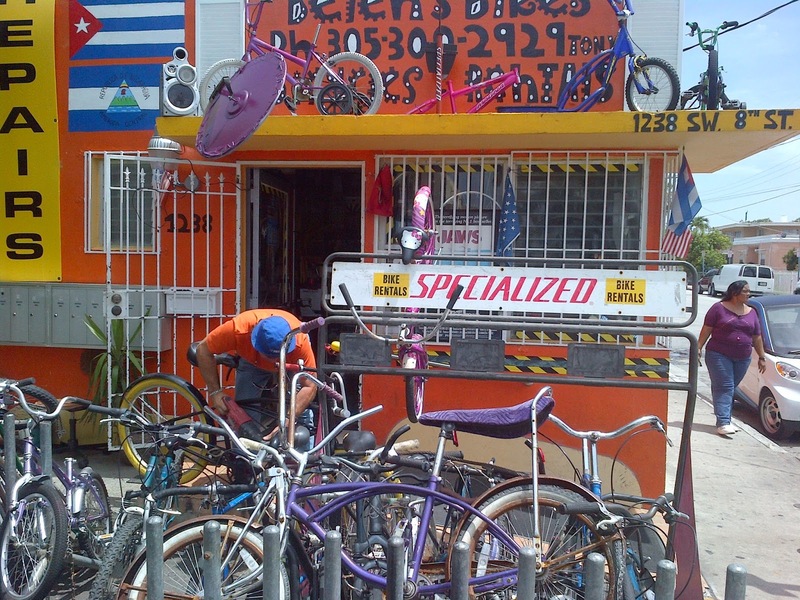 Just as things started to get interesting, I happened upon this bike shop. ...but not to the circular saw. 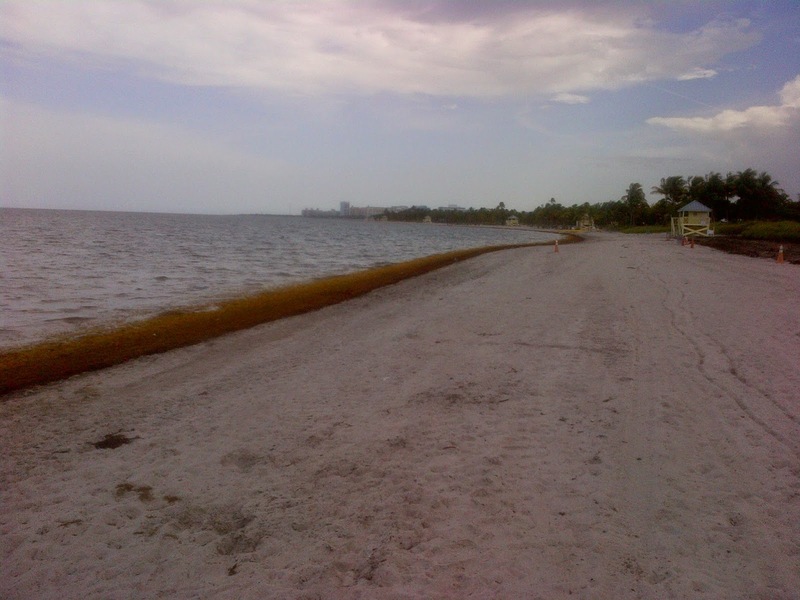 I set off on a 32 km ride, taking in Coconut Grove and Crandon Park on Key Biscayne - basically, the continuation of the run I did on the first day. The bike was very cool but, being a single speed a bit on the heavy side, it was quite a lot of work to get over the bridge of Ridgebaker Causeway. There was a point along the route at which the bike path departed from the main road and ducked into a forest. From this point on I didn't see a single soul, which was quite a striking contrast to the hustle and bustle of the city I was leaving behind. It was also much cooler under the canopy of the trees. 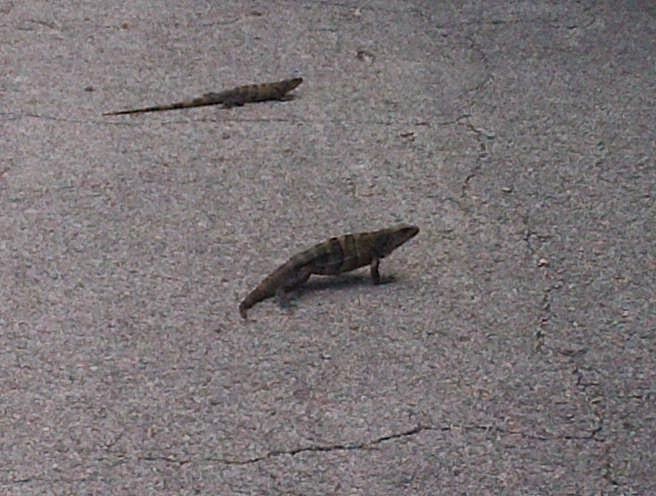 As if to underline the contrast, a couple of Iguanas about half a meter in length ran out in front of me, followed by a raccoon, some squirrels and the like. Eventually I came to a beach which was all but deserted. It certainly wasn't the kind of beach I was expecting to find in Miami. I went for a quick swim but was surprised to find that the water was about as warm as I would run a bath. At this point it started to rain so I headed back to the bike shop. After all the haggling over price, Tony was very relaxed about how long I was out for. 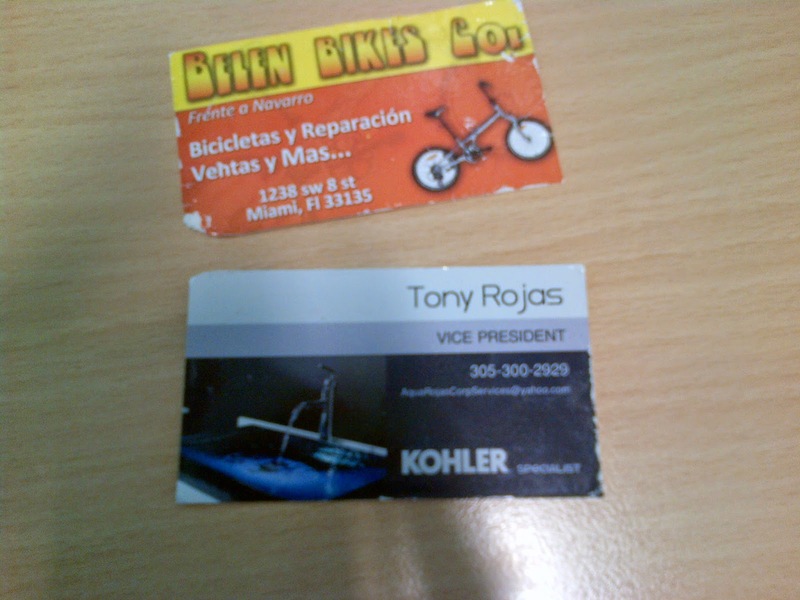 When I returned the bike he handed me his business card - handy if I should ever need any plumbing done in the Miami area. I'm sure Miami must be a lot of fun if either (a) you have a car, (b) you go with friends, (c) you are single or (d) all of the above apply. 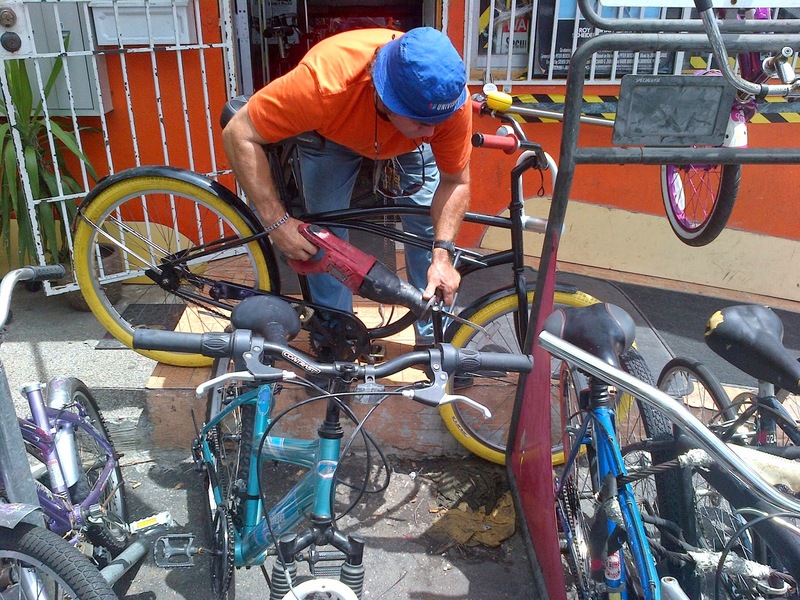 As I didn't fit into any of these categories, I found it quite a dull city right up to the point I hired the bike. I had thought that it was a shame to be in America when the World Fooball of the Non-American Kind Cup was going on but with so many latinos around, the atmosphere was electric. You could hear the roars coming from bars at slightly different times, depending on the lag of their network. But, while I was in Miami, not only was Spain knocked out, but so was England, literally in the minute before I was called to my flight back. I'm not sure who to support now: probably Brazil and definitely not Portugal. Maybe Holland winning would somehow vindicate the Spanish being knocked out so convincingly.